One winner will win a 6 day supply of this strawberry flavored herbal tea supplement for lactation enhancement. 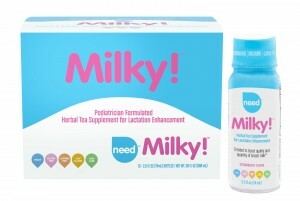 With Organic ingredients and great taste it is sure to be a staple in your life while helping promote healthy breastfeeding and production for your little one. Created with your health in mind it is organic and vegan! Need Brands is a company from Tia and Tamera (Mowry) who many know growing up watching “Sister, Sister”.